An elegant and beautiful elephant beads hanging made from stone and bead components, designed with a contemporary view, so as to go with any modern interior décor. 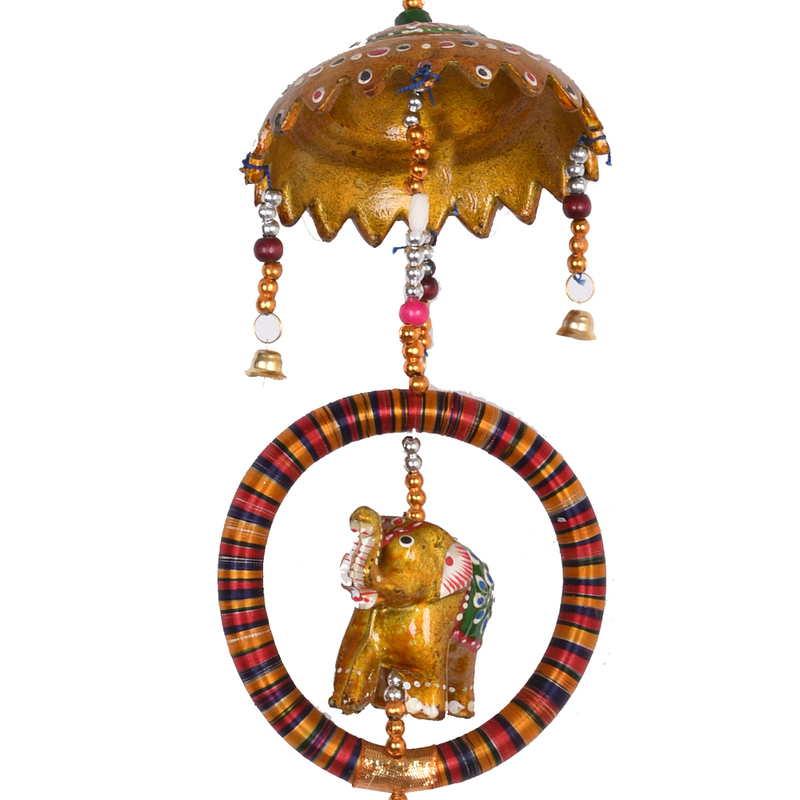 This elephant hanging is partially made of stone components, and beads constitute the rest of the material used. 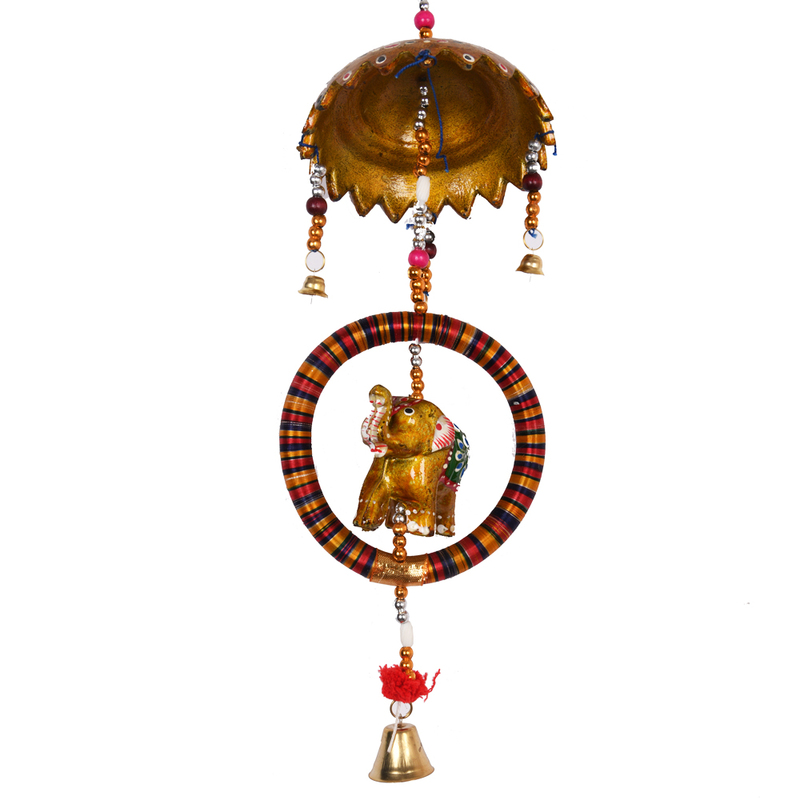 There is an elephant carving in the Read More..centre of this hanging which is meant to be the centre piece of this hanging. 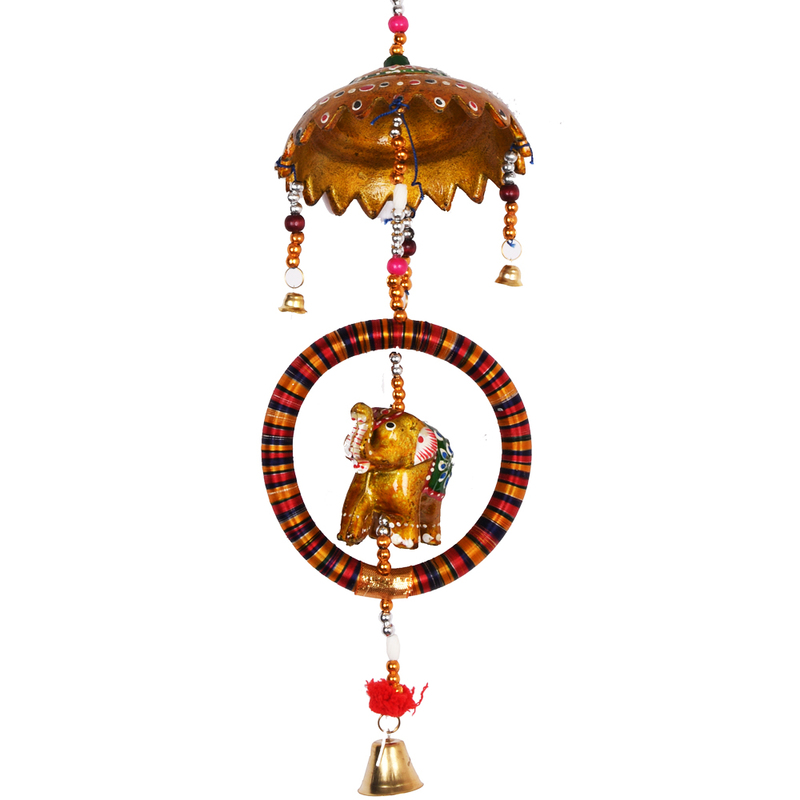 The top piece looks like a sort of a small umbrella which are very widely used in Indian handicrafts designs. The string used to hang this show piece is red so that it catches the eye. The main selling point of this hanging is that it uses traditional concept with a contemporary design. Show Less..